If you think back to the favorite things you did in Elementary School–would they include filling out worksheets? Some of my most vivid memories happened on the playground! Yes, I was a top student and loved to read-the literature I gulped down is very memorable-but I also remember spending a lot of time on the “RINGS”. I haven’t seen this type of play equipment around for a while–there are similar things–but these were big giant rings that you swung on to get from one end to the other. I remember practicing on Saturdays so that I’d be able to be the number 1 “ringer”, and to beat the boys. I practiced so much that I wore huge blisters on the palms of my hands. I also remember the pain and frustration of not being able to swing on the rings until my hands healed. I just loved to be MOVING! And because of that I’ve become a big believer in using movement activities to strengthen student learning. 1 Simple activities have long reaching effects on child development. 2 Less organized, slower paced and more exploratory activities are very effective. 3 Adapting activities to the needs of the children can be achieved by slowing down, repeating, changing the rules, simplifying the activity, adapt the number of repetitions. Focus on participation instead of winning and achieving. 4 Cooperative games and activities help children learn how to work and play together rather than always compete. 5 Motor skills include walking ,running, jumping, climbing and ball skills. 6 Movement helps children develop physically , emotionally and socially. The brain, spine, nerves and muscles need to practice working together. They help with performing daily functions like dressing, standing, climbing out of a car, climbing stairs, sitting upright, eating, packing a backpack and performing daily tasks. When children are in control of the body it helps them with their self-esteem. Helps children with other physical activities such as walking, running, jumping and in sports. Running, Jumping, Skipping, Hopping, Dancing. Use these movements in your Freeze Dance activities. Or use them in playing rhythms like this FREE RESOURCE WHEN YOU SUBSCRIBE TO THE FREE RESOURCE LIBRARY. Bilateral Integration- Using both hands together with one hand leading. Crossing the mid-line- The ability to cross the imaginary line running from the nose to the pelvis that divides the body into left and right sides. Hand and Finger Strength- The ability to exert force against resistance using the hands and finger that allows the necessary muscle power for controlled movement. Hand eye coordination- The ability to process information received from the eyes to control, guide and direct the hands in the performance of a task such as handwriting. Object manipulation- The ability to manipulate tools and the controlled use of everyday tools such as combs, toothbrushes, fork, knife, spoon. The midline is an imaginary line down the center of the body that divides the body into left and right. Cross the midline is the ability to reach across the middle with arms and legs and perform tasks. It allows children to draw a horizontal line across a page without having to switch hands, to sit cross-legged on the floor, and to work at a task on the left side of the body with the right hand (or vice versa). For example; place puzzle pieces in a puzzle, attach a belt on the left side of the body. Provides the teacher an opportunity to “see” if students understand. 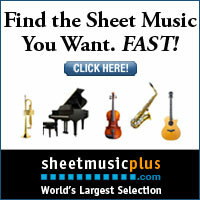 Provides opportunities to practice skills. Provides students opportunities to “show” understanding. Provides students opportunities to gain confidence in skills. Provides students opportunities to be more aware of their bodies and gain experience making movement more musical. Provides students opportunities to connect learning to as many senses as possible. Looking for a way to implement movement activities? You’ll want to CLICK HERE FOR THE CREATIVE MOVEMENT PLANNER FREEBIE. 2- Give students opportunities to move throughout the lessons. 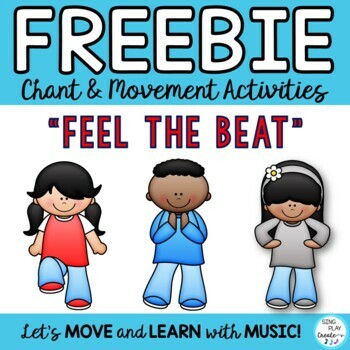 You’ll definitely want to READ THIS ” Awesome, Easy and Free Creative Movement Activities” article with tips and Free resources. 3- Give students opportunities to experiment and use creativity. 4- Give students opportunities to improvise within a guided activity using lesson. Childhood experiences need to include a lot of movement and action and doing experiences. They are all important parts of my music class lessons and an integral part of my classroom activities. I think kids learn better when they have something to “do” too. All of my lessons included activities-games-dances of some sort to reinforce the concepts of the lesson material and to create an experience that the kids will remember. So, what do you remember most? Why? And, do you use that information to build your curriculum? I’m committed to continuing to keep movement activities at the top of my list for student engagement and using movement activities to strengthen student learning. Please share this article with your music teacher friends.